Got 21 Days? 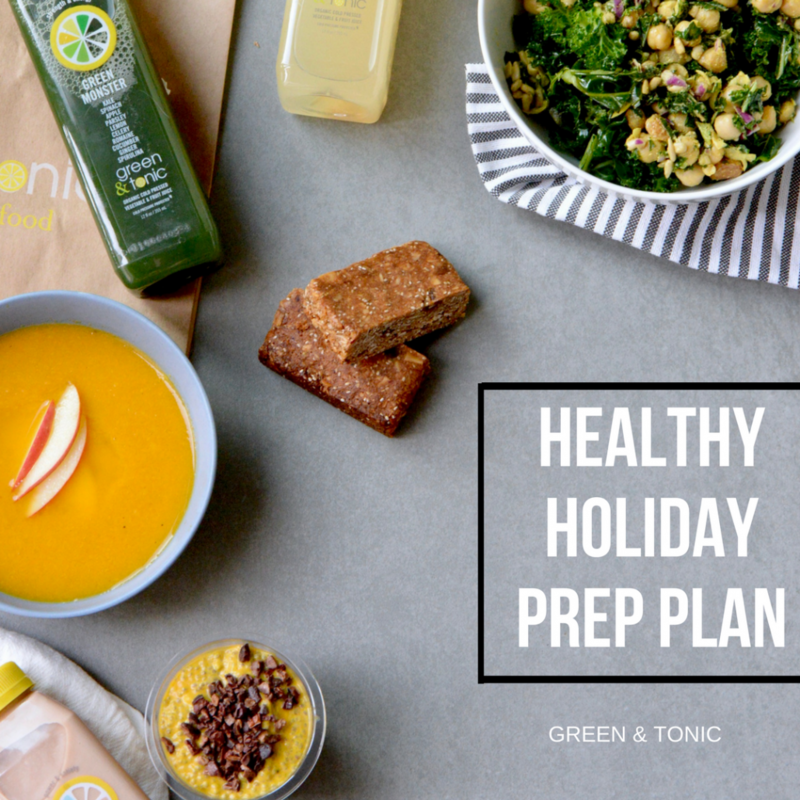 Try Our Healthy Holiday Prep Plan. 24 Oct Got 21 Days? 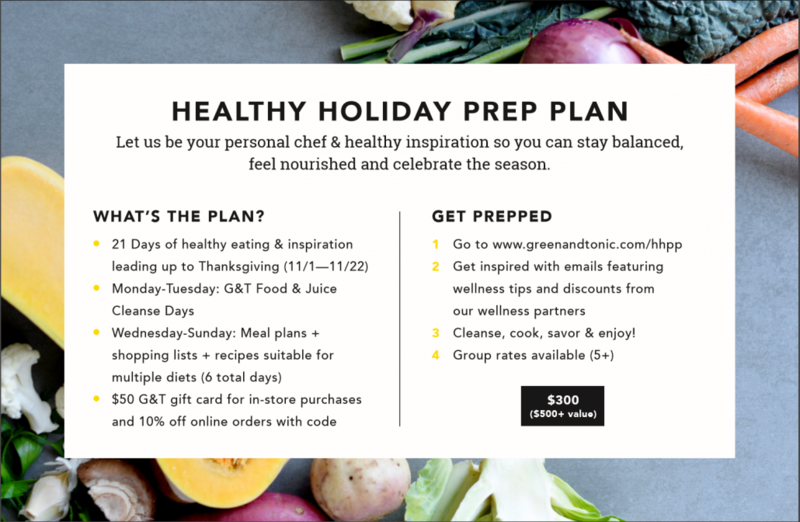 Try Our Healthy Holiday Prep Plan. The holidays are right around the corner which means family, friends, and…food! We’re all about getting into the spirit and enjoying all the festivities, but finding a healthy balance during all the fun can be overwhelming. But we’re here to help. From November 1st to November 22nd, leave the meal planning to us. We’ll guide you through the three weeks leading up to Thanksgiving with Green & Tonic food & drink cleanse days and easy, nourishing recipes to make at home. We even include weekly menus and grocery lists to make it super simple. We’ve got you. And that’s not all. We believe that a well-balanced diet (with more plants!) is just one part of a healthy whole. That’s why we’re teaming up with our favorite studios, gyms, athletic retailers, and more to bring you exclusive discounts to get you focused, fit, and balanced so you can fully celebrate the season. Sign up to receive email updates, new menu launches & special offers.